Prince Andrew's daughter, Princess Eugenie, is set to marry Jack Brooksbank this Friday, in a celebration that is garnering some criticism - and, in ways, seems to mirror the wedding of her cousin and higher-profile royal, Prince Harry. It's bound to bring back royal wedding memories of Prince Harry and Meghan Markle's carriage ride through the streets of Windsor. 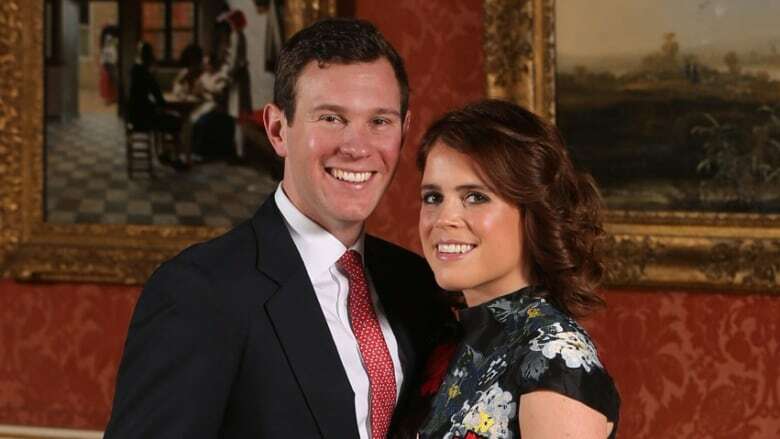 Harry's cousin Princess Eugenie, 28, and Jack Brooksbank, 32, are planning a horse-drawn jaunt after their wedding in St. George's Chapel on Friday, perhaps in a glass coach if rain seems likely. But while much shorter than Harry and Meghan's, Eugenie's ceremonial excursion, and the security it will require, have stirred controversy over the nuptials of this more junior royal who seems to be aiming for a wedding to rival the one her higher-ranking relative had in May. "Princess Eugenie … is a private citizen in many respects," said Toronto-based royal historian and author Carolyn Harris. "She doesn't have that range of public engagements, and so there's some popular controversy about the perception that she's trying to emulate the wedding of Prince Harry and Meghan Markle." Emulate — and maybe even exceed. 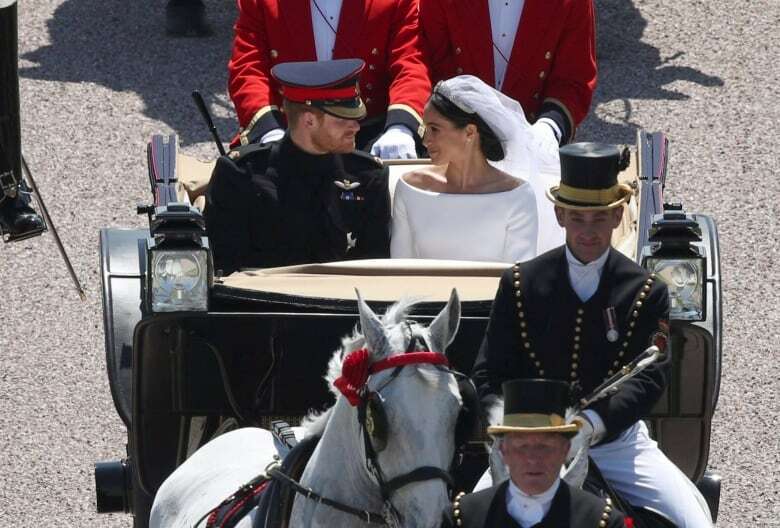 "I think the scale of this wedding has surprised a lot of people," said royal author and Vanity Fair royal correspondent Katie Nicholl. "It's going to be just as star-studded as Meghan and Harry's and even bigger." Harry, who is sixth in the line of succession to his grandmother Queen Elizabeth, had about 600 guests watching him wed Meghan in the chapel. Eugenie, three steps down in the royal ranks, apparently has about 850 on her guest list. Her party, it's said, will be spread over two days, with a more informal gathering for some guests planned on Saturday. Harry and Meghan, whose wedding Harris says was in ways a bit more understated than expected for a royal of his rank, were wed and celebrated in one day. And then there's the money. 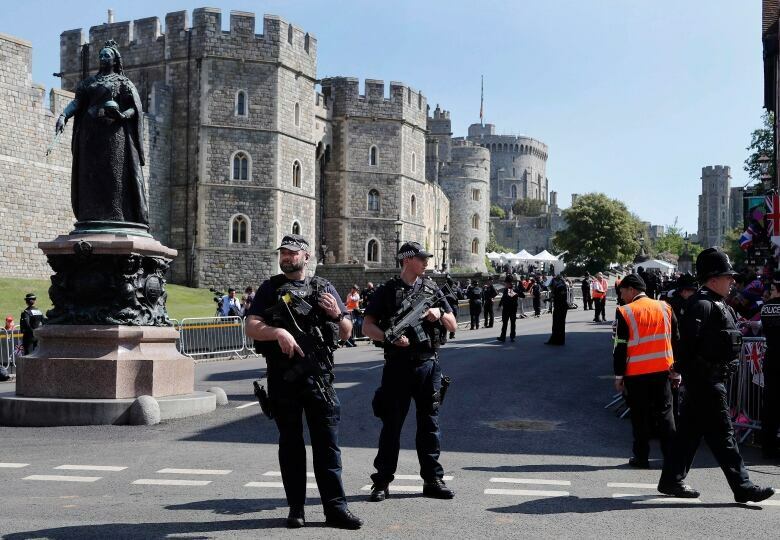 While the Royal Family is paying for Eugenie's wedding itself, security costs will be borne by the British taxpayer. That tally has been estimated to be in the range of two million pounds. And that hasn't gone over well in some quarters. "If the royals want to turn Eugenie and Jack's big day into a public event, they need to pick up the bill — all of it," anti-monarchist group Republic says in an online petition urging the British government to commit "no public money" to Eugenie's wedding. Republic presented the petition, which by midday Thursday had garnered more than 44,000 signatures, to Labour MP Emma Dent Coad. She said she expects that support extends far beyond those who signed the petition. "​To me it's unconscionable that a minor member of the Royal Family who doesn't even have a role is having her dream wedding subsidized, when in the same [London] borough that she's moving into ... we have food banks, we have people literally starving," Coad said in an interview outside the U.K. Parliament. Another Labour MP also voiced his opposition to any public expenditure. Chris Williamson told Sky News in August that the security bill facing taxpayers is "completely unacceptable." Williamson said the "fabulously wealthy" father of the bride, Prince Andrew, Duke of York, should fund the additional expenses himself. What is unfolding around this wedding could also be the result of Andrew's reported view that Eugenie and her elder sister Beatrice — who will be maid of honour Friday — deserve more than they get from the Royal Family. "Certainly there have been indications in the past that he would like his daughters to have a more active role in terms of public engagements" and full security, says Harris. Andrew also reportedly wanted Eugenie's nuptials televised live on the BBC, an idea the British broadcaster turned down, apparently apprehensive about just how many viewers would tune in for a service that begins at 11 a.m. local time (6 a.m. ET). Rival network ITV will offer live coverage in the U.K.
Nicholl says she's been told Andrew wanted the carriage procession and for the wedding to be televised. "According to my sources, Prince Andrew feels very much that it's his daughter's right as a blood princess and ninth in line to the throne to have her moment in the spotlight and a royal wedding with all the trimmings." What about the mother of the bride? Wedding watchers will also likely focus some of their attention on the mother of the bride, Sarah Ferguson, who is divorced from Andrew, but still very close to him. "In terms of this wedding, there's a lot of interest in … how the Duchess of York will be received by the Royal Family," says Harris. Scandal surrounded the demise of Andrew and Sarah's marriage in the early 1990s, and it's long been thought that her former father-in-law, Prince Philip, has little use for his former daughter-in-law. The Daily Telegraph has reported that Philip and Sarah haven't spoken since the divorce came through in 1996. Nicholl doesn't expect Sarah will be an issue Friday. "She's very nervous about coming face-to-face with her former father-in-law, but they will both have to be adults about the whole thing, for the sake of the bride. No one wants anything to spoil Eugenie's big day." Whether the 97-year-old Philip, who had hip replacement surgery in April, will attend the wedding is unclear. Nicholl says Philip adores Eugenie and wants to be there. She wants her grandfather to be there, too. On Wednesday, newspapers were reporting that Philip will make a last-minute decision about whether to go to the chapel. The wedding also focuses further scrutiny on Eugenie and Beatrice themselves. The sisters have taken tabloid hits over the years, especially for lavish holidays, and have garnered significant attention for fashion selections that seemed somewhat questionable. Beatrice's hat for the wedding of Harry's older brother Prince William in 2011 — variously described as resembling a doughnut-shaped spaceship or a toilet seat — was particularly memorable. Any further scrutiny on the sisters prompted by this wedding could have a broader impact for the House of Windsor. "If Eugenie's wedding is perceived as particularly lavish," says Harris, "it's going to lead to wider discussions about the role of junior members of the Royal Family." What will the junior royals do? It's a debate Harris says is going to be relevant going into the next generation, when, for example, the question would arise about just what sort of life William's third child, Prince Louis, might lead. "Beatrice and Eugenie have already granted interviews where they've said that they're unique in a sense, because they are princesses who are also pursuing careers," says Harris. And that may well be the way things are going, with royal cousins not having the public or official profile of lower-ranking royals in previous generations. Certainly there were hints of that as far back as the Queen's 2012 Diamond Jubilee. 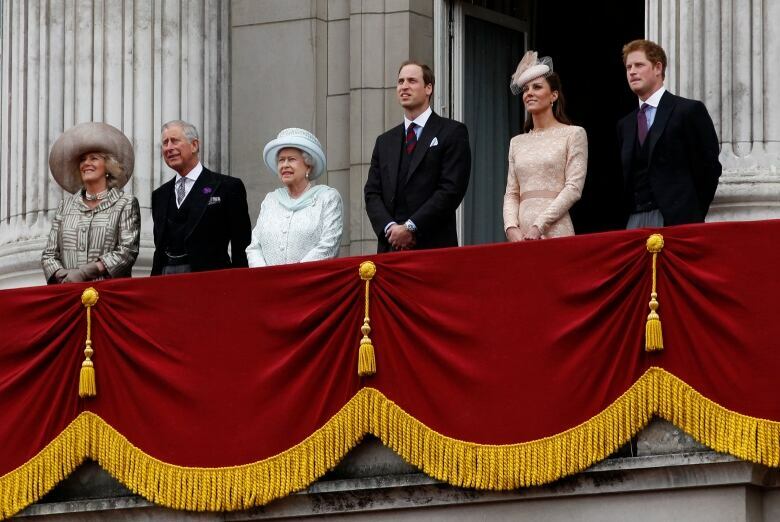 At that time, a Buckingham Palace balcony appearance featured only the Queen (Prince Philip was in hospital), her heir Prince Charles and his wife, Camilla, next-in-line William and his wife, Kate, and Harry. Missing were the numerous royal relations who have often been on the balcony, too. "The trend going forward seems to be a more streamlined Royal Family," says Harris, "and of course that opens up the wide question [of the] role of more junior members of the Royal Family and what sort of public profile they should have." Janet Davison is a CBC senior writer and editor based in Toronto.